The content released by luxury brands is not primarily published to push a particular product at a consumer. This is a secondary objective. The primary aim is to engage people and show that the brand shares their interests, hobbies, and values. As such, the audience is not only envisioned as a consumer, but also as a citizen, a culture-lover, a fashion aficionado, an art amateur or a seasoned traveller. A brand that has truly taken this to the next level is Louis Vuitton. It was the first luxury brand to launch a range of exclusive city guides and travel books 16 years ago building the “unique art of luxury travelling” upon their iconic trunk. This content rich and complex universe, with a luxury traveller in the center, is an outstanding example of brand’s storytelling. The beautifully illustrated collection of Louis Vuitton City Guides with exclusive photographs and up-to-date content, explores the world’s greatest cities and new urban destinations each year. In November 2015 four new cities (Bangkok, Chicago, Prague and Rome) were added to the collection of already existing destinations. As of November 2015, an easy-to-use mobile App accompanies the collection of printed City Guides. Special guest contributors, secret addresses, city walks, and cultural events create the entire luxury travel experience. Each guide is available to purchase in App Store and contains almost 500 regularly updated addresses. With a single tap you can call or access the company’s website. The App is also very interactive; users can share practical info by email, text or social networking, to recommend an address to a friend. Printed and digital City Guides are also complemented by amazing Travel Books, in which Louis Vuitton creates a new contemporary vision of travel through the eyes of artists. Travel Books including 100-120 inspiring drawings explore both wilderness (The Arctic, Vietnam or Easter Island) and big cities (Paris, New York or London). The brand is very consistent in creating this tremendous content around traveling and knows how to attract customers both with images and words. Moreover, Louis Vuitton with its almost 4.8 million followers is one of the kings of Twitter, next to Chanel, Dior & Burberry. Another example of brilliant omnichannel content strategy is The Edit by Net-a-Porter. The Edit, a digital weekly magazine offers a sleek fusion of fashion, beauty, travel and interview content in a uniquely shoppable format and is distributed to 1.5 million women every week. Readers who place an order via The Edit have a 25% higher average order value than those who order directly through Net-A-Porter.com. Responding to the needs of mobile customers, Net-A-Porter also released an app “The Edit”, which is among Top 10 Best List in the App Store. Users can purchase, see recommendations, add products to their wish list, and share on social media without ever leaving the app. Educational content helps consumers understand the history, expertise, and the philosophy of the brand or retailer. It has been already a tradition for luxury houses to publish high-end books or magazines and distribute them to subscribers or in brick-and-mortar stores. In the last few years digital versions of magazines (sometimes with shoppable options) took over the lead in the luxury content creation. Cartier Art Magazine is a prestigious art and culture printed magazine created in 2001 and published three times a year. It was born of a desire to offer new ways of looking at art and the art of living. Each issue focuses on a different theme, addressing subjects like design, gemstones, seduction or wanderlust. To expand the reach of its publication Cartier Art Magazine was also launched in a digital version for Ipad and Iphone in 2013. This content strategy is consistent with Cartier’s commitment to aesthetics, craftsmanship and creativity and in the same time it brings added educational value. Editorial and educational content can be also created in cooperation with publishers. 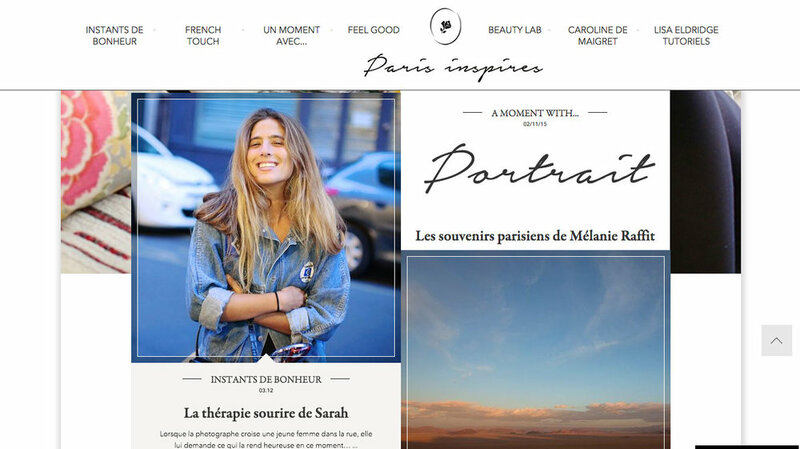 One such example included Condé Nast’s partnership with Lancôme, which culminated in the conception of an online magazine “Paris Inspires” for the beauty brand. 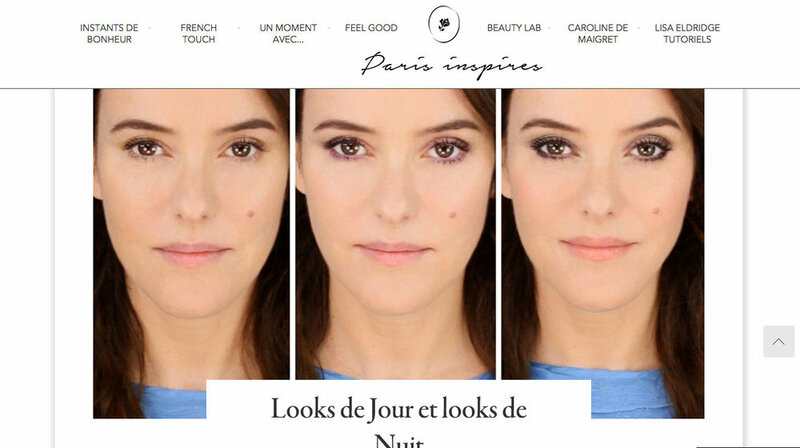 The microsite is filled with inspiring editorial content with Lancôme products seamlessly integrated into the beauty part of the magazine. Why education through content is so important for luxury brands? It is certainly a challenge to educate people on what constitutes a luxury item, when they have no clue about the culture and history of the brand. This is especially true in emerging markets where consumers are not familiar with western brands or their heritage. In this case content is one of the most valuable assets a brand can use to spread luxury culture across the new territories. On top of it, new affluent customers are the most interactive group so educating stories and two-way communication is key to build brand credibility and price legitimacy. Creation of content is not limited to storytelling and education. Innovative brands create real customer experiences that go beyond strict narration. The quality of content can be assessed by its ability of interaction, engagement and discussions it triggers on social networks and beyond. Especially for prestige beauty brands, recommendations and positive comments about product experience can make or break new product launch. Sephora is a retailer that mastered this area to perfection. Best-selling products on Sephora US website have on average 5x the reviews than on comparable sites*. Benefit Cosmetics’ bestseller mascara “They’re Real” have over 11.000 reviews and 140K loves at sephora.com, which gives an amazing credibility to the brand thanks to this user-generated content (reviews). Still, only 60% of beauty brands incorporate reviews on product pages. According to L2, benchmarking company in a digital world, only 52% of beauty sites allow filtering of user reviews and just 22% allow sorting by user characteristics. It’s really surprising that more brands don’t make use of customers’ reviews given that 76% of consumers say they would be more likely to purchase a product after seeing positive reviews from other users. In the modern luxury market brand values, content in all available forms and commerce seem to be interlinked and inseparable. They all promote culture, lifestyle and shopping as a seamless customer experience. Contact Chic Being to learn more about content creation for luxury brands.